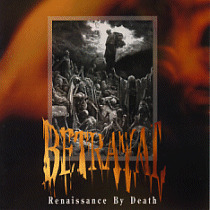 There's (at least) three Betrayal named bands; Christian Thrash metal band from US, melodic metal band from Finland and country rock band from Finland. 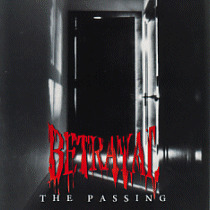 The original Betrayal: Christian thrash (later industrial) metal band from the United States. Three full-lenght albums (Renaissance by Death (1990), The Passing (1993) and Leaving Nevermore (2000)). Another Betrayal was founded in 2000. First demo was made in the spring 2004. Newest demo, Evil Soul's Burden, came out in the spring 2006. The cd includes 6 songs and the cd is half an hours long. Many people claim that we sound like Diablo or In Flames. Shortly, Betrayal is heavy metal with northern Finlands melancholy, listen and find out what it's all about! You can find a few of our songs from www.mikseri.net/betrayal and hopefully someday we get our new websites done..